Einstein himself has tried at least twice to construct a theory of quantum mechanics with additional variables. Both times he tried to take the particle positions as the additional variables, thus anticipating Bohmian mechanics. One attempt, according to a report of E. Wigner, was to employ the Maxwell electromagnetic field as guiding the photon motion. Einstein's second attempt, which J. Cushing reported from his notebooks (in German), was to consider an energy eigenfunction psi of eigenvalue E and to define the velocity dq/dt = v(q) in a way ensuring (1/2)mv2(q) = E-V(q), where V is the potential function. This indeed defines a unique dynamics (up to a sign) at least in the 1-dimensional case, which however fails to make the |psi|2 measure equivariant. 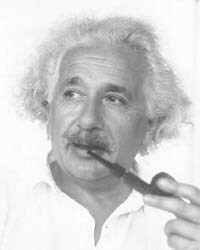 Despite these unsuccessful attempts, Einstein stayed a critic of the Copenhagen view of quantum mechanics, which he termed "Bohr's tranquilizing philosophy". He advocated the view that orthodox quantum mechanics had left out some variables (often called the "hidden variables"). See this excerpt (in German) for details about Einstein's view. 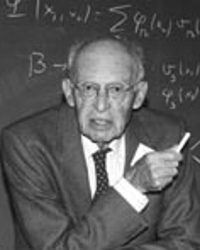 In 1935, he published a famous paper , together with his collaborators Boris Podolsky and Nathan Rosen (often abbreviated EPR), showing that there must be additional variables provided the predictions of quantum mechanics are correct (which experimentally they are found to be, as we know today) and provided locality, which then seemed an obvious assumption but was completely discredited 30 years later by John Bell. 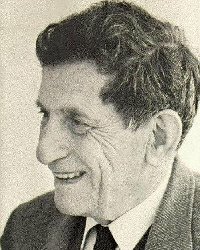 It was Einstein who explained to David Bohm at Princeton in 1951 why orthodox quantum mechanics is inacceptable. Therefore and because of his earlier studies of "hidden" variables, Einstein must be counted as a grandfather of Bohmian mechanics. However, he did not like Bohmian mechanics and did not support Bohm's proposal in 1952, probably because Bohmian Mechanics is nonlocal and "too simple". A. Einstein, B. Podolsky, N. Rosen: "Can Quantum Mechanical Description of Physical Reality Be Considered Complete?". Physical Review 47, p. 777 (1935). 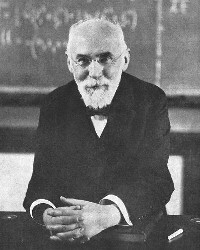 During the 1927 Solvay conference Lorentz gave an opening statement in the "general discussion" session about his position towards quantum mechanics. There he emphasizes that in physics one should always try to have a clear account of what exactly a theory is about. Since in his view an electron is a particle, it is described by a definite position in space and moves on a trajectory. See the quotations from Lorentz for more details. In 1923, Slater worked on an idea anticipating Bohmian mechanics: that the photon is an actual particle with an actual trajectory, guided by the Maxwell field. He wrote down a guiding equation for the photon, an analogue of Bohm's equation of motion, and argued that this model would provide a very simple and elegant solution of the puzzles of emission and absorption of light. He then went for several months to Copenhagen, where he discussed this idea with Niels Bohr and his assistant Hans Kramers. Bohr and Kramers opposed vehemently the real existence of photons. Slater, though not convinced, stopped working on this theory. Schrödinger is best known, of course, for the time evolution equation of the wave function, which lies at the heart of quantum mechanics and now bears his name. But what he invented in 1926 was not only the equation, but the wave function itself. The revolutionary step was not so much the wave (which had been proposed by de Broglie in 1922) but it being a function on (3N-dimensional) configuration space. He wrote in : "Entanglement is the characteristic trait of quantum mechanics, the one that enforces its entire departure from classical line of thoughts." Entanglement (i.e., a wave function that is not a product) is behind not only EPR's argument, but also such recent applications as quantum computing and teleportation. Schrödinger was another famous critic of the vague and incoherent Copenhagen doctrine. 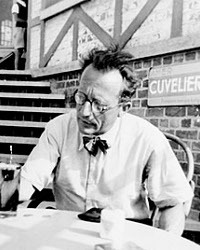 He pointed out his demurs in his 1935 article , which included his cat example that afterwards grew so popular that today Schrödinger's cat is the emblem of quantum mechanics. However, the essential content of this example - the measurement problem - was more often misread than properly understood, or simply ignored. E. Schrödinger: "Die gegenwärtige Situation in der Quantenmechanik". Naturwissenschaften, 23, p. 807 (1935). Madelung observed in 1926 (see ) that when decomposing Schrödinger's equation into modulus and phase of the wave function, the modulus square solves a continuity equation dp/dt = - div(pv). This equation was known from the hydrodynamics of a compressible fluid with density p and local flow velocity v, whereas in Schrödinger's equation, p = |psi|2 and v is the Bohmian velocity. Madelung therefore compared the wave function to a fluid, the so-called Madelung fluid. It flows along the integral curves of v which coincide with the possible world lines of a Bohmian particle. So he was the first to consider Bohmian trajectories, not regarding them, however, as trajectories. He did not have in mind that one of these curves is the actual path of a particle, but rather that all of these curves are equally real - as the flow lines of a fluid are. He noticed that his analogy breaks down in the many-particle case, and did not pursue such ideas any further. E. Madelung: "Eine anschauliche Deutung der Gleichung von Schrödinger". Naturwissenschaften, 14, p. 1004 (1926). However, his proposal didn't meet much interest, let alone approval, among the illustrous audience which included Bohr, Heisenberg, Pauli, Dirac, Born, Einstein, Lorentz, and Schrödinger. While Bohr and the Copenhagen-Göttingen camp of quantum pioneers seem to have viewed de Broglie as an unpleasant rival, it is somewhat surprising that Einstein and Schrödinger have not embraced the brilliant proposal. On the other hand, de Broglie himself didn't take his theory very seriously. He regarded it rather as some preliminary approximation to the correct theory, which at that time he imagined to involve a "double solution" of Schrödinger's equation, one being the known (smooth) wave function on 3N-dimensional configuration space, the other being a function on 3-space containing singularities supposed to represent the particles. 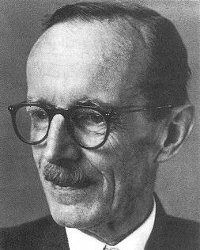 His ideas never attained a consistent shape; e.g., he often argued that the Schrödinger psi function cannot be something real because real fields are functions on 3-space, not on 3N-space. 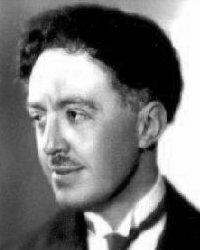 Later, de Broglie gave up his hidden variables theory and became a defender of the quantum orthodoxy as defined by the Copenhagen-Göttingen camp. Only when David Bohm revived his trajectories in 1952, de Broglie returned to his 1927 ideas, still arguing against Bohmian mechanics, in favor of his "double solution" concept which he never made precise mathematically. For Bohr's role in establishing a certain view of quantum mechanics, see Beller (1999). For the sociological aspects of de Broglie's cold reception at the Solvay congress, see Cushing (1994) and Bacciagaluppi and Valentini (2007). For details about de Broglie's views, see de Broglie (1960). Independently of de Broglie and before Bohm, also Nathan Rosen discovered the equation of motion of Bohmian mechanics, in 1945. In his paper on the subject , which is written in a very clear style, he treats a single spinless particle. However, Rosen did not fully understand the explanatory power of Bohmian mechanics, and erroneously concluded that BM was incompatible with interference. That is probably why he didn't do much to advocate the theory, and published it only in a small, unknown journal. Rosen collaborated closely with Einstein. They were both authors of the famous Einstein-Podolsky-Rosen (EPR) paper, and they discovered together (1935) the so-called "Einstein-Rosen bridge" solutions of Einstein's field equation of general relativity, the first example of what is nowadays known as a "wormhole". N. Rosen: "On waves and particles", Journal of the Elisha Mitchell Scientific Society 61, 67-73 (1945). Bohm was the first to really appreciate that BM actually works. It explains the quantum measurement and solves the measurement problem. Bohm, in one of his 1952 papers, explained in detail how. More than this, it does away with anything mysterious or inexplicable about quantum mechanics. Bohm had found the law of motion independently of de Broglie, of whose work he learned only later. 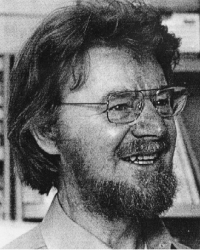 He did quite a lot of work on BM: he not only constructed the full many-particle theory, analyzed the measurement situation, and systematically solved the quantum paradoxes, but also thought about how to include spin, how to justify the quantum equilibrium distribution, and how to extend BM to the relativistic Klein-Gordon and Dirac equations. He refuted proofs allegedly showing the impossibility of hidden-variables-theories and replied to the objections put forward against de Broglie at the 1927 Solvay congress. He also suggested an analogous approach for QED, where the configuration space is taken to be the infinite-dimensional space of all classical Maxwell fields, and an actual Maxwell field is introduced as an additional variable (analogous to the actual electron positions) which however doesn't obey Maxwell's equation but is guided instead by a wave function on configuration space. Apart from hidden variables, Bohm is known for the Aharonov-Bohm effect, which exhibits an influence of the electromagnetic vector potential on the electron that is not mediated by the electromagnetic field tensor (as the Lorentz force is). He also worked in plasma physics. A comprehensive account of Bohm's contributions to BM and the related questions can be found in the book of Bohm and Hiley (1993). While being an expert in accelerator physics, employed at CERN in Switzerland, Bell was a leading mind in the foundations of quantum theory. He was among the first to realize the meaning of BM for quantum mechanics: setting today's scientific standards of precision and clarity in the quantum fundamentals. Bell suggested the modern version of the velocity formula in terms of psi, he worked out how to treat spin in BM, and indicated how to justify the quantum equilibrium. He also proposed a Bohm-type model of quantum field theory, with solely the Fermion positions as the hidden variables, while the number of Fermions varies randomly. and which every local theory must satisfy but quantum physics exceeds by a factor of sqrt(2). This means that actions an experimenter may deliberately choose to perform, influence what is happening at spacelike separation; in other words, influences sometimes travel faster than light. However, this does not allow superluminal communication. The violation of Bell's inequality is not a matter of theory alone, but has been confirmed in experiment. Bell's argument was often mistaken to establish the impossibility of hidden variables, but actually establishes nonlocality, thus challenging our understanding of relativity. Bell's collected papers on the foundations of quantum mechanics have been reprinted as Bell (1987). This section was mainly written by Roderich Tumulka, with additions from several group members.